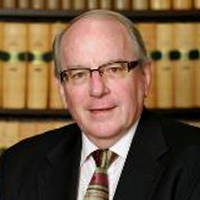 Ian Bailey is a Senior Counsel based in New South Wales, specialising in construction disputes, professional negligence and technical and engineering claims. He has been National Vice President of the Institute of Arbitrators and Mediators Australia and is a Grade 1 arbitrator with the Institute. Ian is the founding Chair of the Society of Construction Law Australia. Ian practises full-time as a Barrister, specialising in construction disputes, claims concerning professional negligence of building professionals and technical and engineering claims. He was admitted to the Bar in New South Wales in 1983 following employment with Minter Simpson (now Minter Ellison) in Sydney. He is also admitted in Victoria, Queensland, Tasmania, Australian Capital Territory and Northern Territory. For ten years prior to 1980 he was a practising Architect involved in the design and construction of commercial and industrial buildings in Sydney. Ian is a Grade 1 Arbitrator and was National Vice-President of the Institute of Arbitrators and Mediators Australia from 2004-2008. He is author of Understanding Australian Construction Contracts, 2009, Thomson Reuter, co-authored with Matthew Bell, Construction Law in Australia, 2nd Edn, 1998, LBC Services, and Chapter 27.7: Professional Liability, Architect and Engineers in Laws of Australia published by Law Book Company Limited.